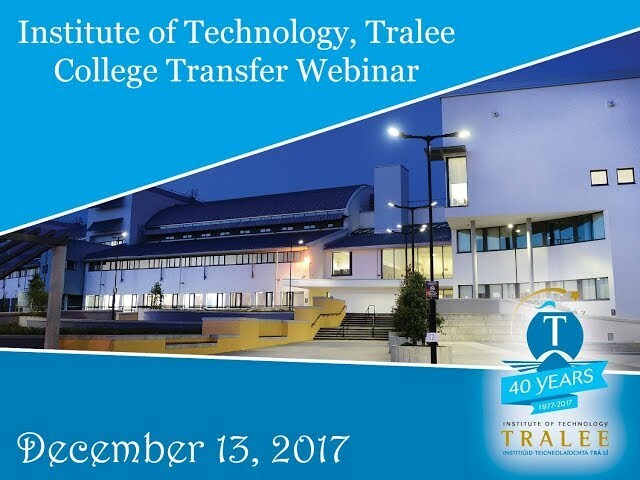 The Institute of Technology, Tralee, has been at the forefront of learning since its establishment and has gained a reputation as a centre of distinction for teaching, learning and research. The Institute offers a range of full-time and part-time programs ranging from certificate through to honours degree and post-graduate Masters and Doctoral level. Enhancing the taught programs at the Institute is a world class program of research. Based on two campuses, both with easy access to the town centre, the Institute has a well-deserved reputation for friendliness and success. With a community of over 3,500 students and 250 academic staff, consisting of a diverse mix of home, EU and overseas students, you are guaranteed a warm welcome at the Institute. 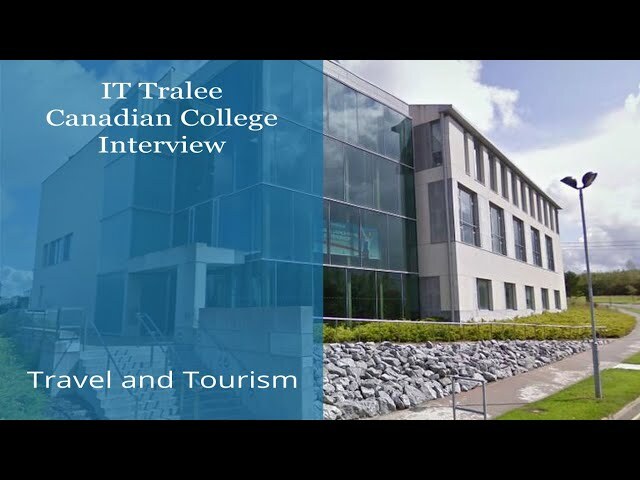 The Institute of Technology, Tralee campuses are set amid the beauty of Kerry. 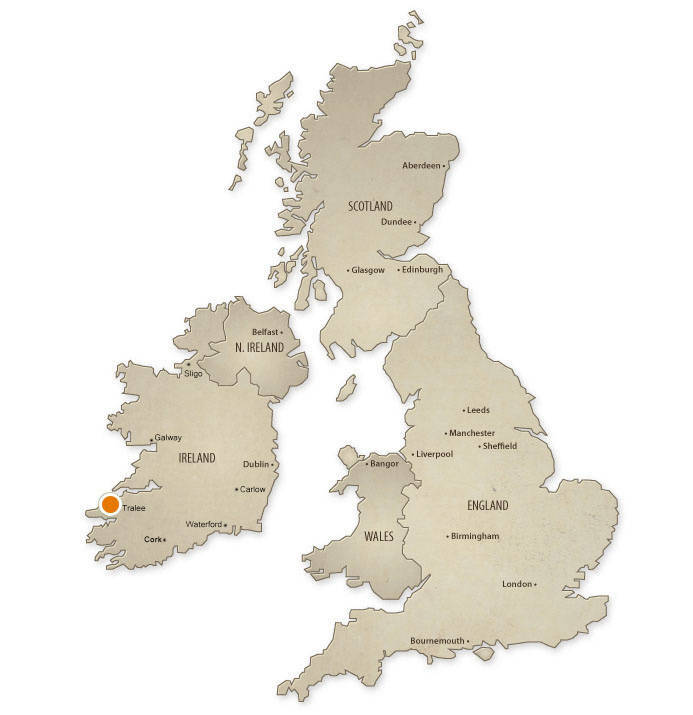 Located in the South West of Ireland, the county of Kerry is renowned for its culture, music, arts and heritage. Throughout the year festivals and sporting events take place. ITT campus offers serenity and beauty, while the North Campus development provides state-of-the-art technology and resources. Our campus also features world class sporting facilities for among others Gaelic, soccer and athletic fields. 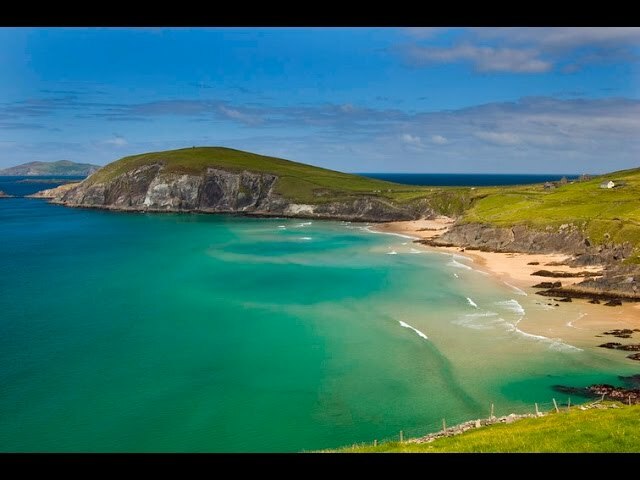 Tourism is a major industry in Kerry with over 2 million visitors per year sampling the many scenic attractions, coastline, countryside, international cuisine and booming social scene. Major attractions include the National Park in Killarney with the historical Muckross House, and Castlegregory beach where surfers can be found riding the waves year round. If theatre and concerts are your thing, you’ll be spoiled for choice in Kerry. 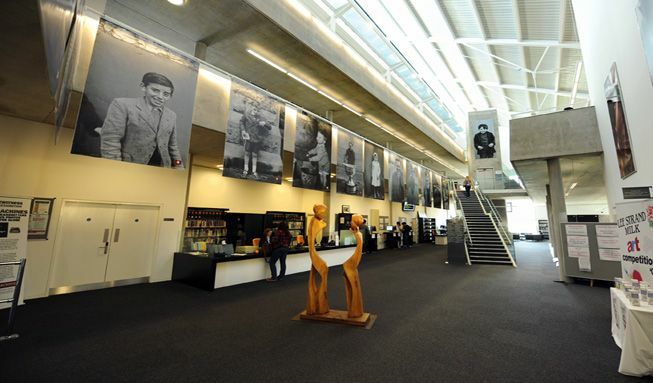 The Siamsa Tire, the National Folk Theatre of Ireland, or the National Events Centre offers top plays, musicals and concerts in state of the art facilities. 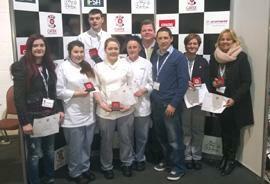 There is a great social scene in Kerry and Tralee. There has never been a shortage of pubs and clubs for the beer thirsty student. Don’t take our word for it go out and discover the hidden gems in Kerry which will add to your student life. Whether you are from the region, Ireland or an International student, there will always be something new for you to discover in Kerry. County Kerry is a paradise for outdoor enthusiasts, sporty types or culture advocates. Or if you simply want to explore or relax at your pace there is something in Tralee and County Kerry for you. 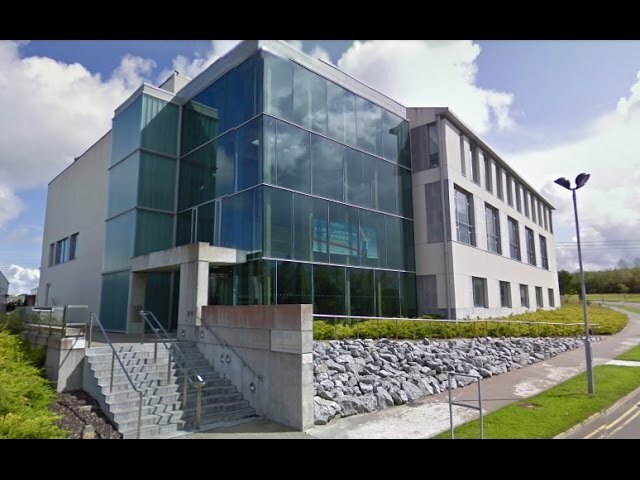 Tralee is home to Siamsa Tíre, the National Folk Theatre of Ireland, the award winning Kerry County Museum and Medieval Experience and Tralee’s newest attraction – the Tralee Bay Wetlands, an activity and nature centre. There are miles of beaches within a 15-minute drive of IT Tralee in addition to many sport and leisure facilities from golf courses to cinemas to bowling alleys, swimming pools and sports centres. 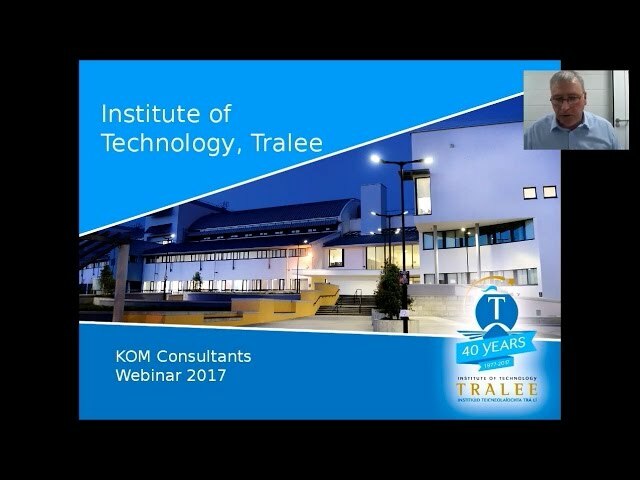 Tralee, as Kerry’s capital town is also a great shopping venue with a variety of bars and restaurants. The IT Tralee Societies Officer and the Students Union, with the IT Tralee’s 47 clubs and societies will help ensure you have the maximum opportunity to experience all that Tralee and the region has to offer ensuring that all important balance between study and fun. Part three of our Frequently Asked Questions Friday Blog is here. It’s short and sweet, just like our application process outlined below.